The greatest objective for the R.S.C.D.S. is to spread friendship and happiness wherever it goes." Our Calendar Year begins July 1. The current year's Membership Form is given below for you. You may become a member at any time during the year and obtain membership rates for events, classes, and more. Joining the Branch helps keep you informed of dance activities everywhere. 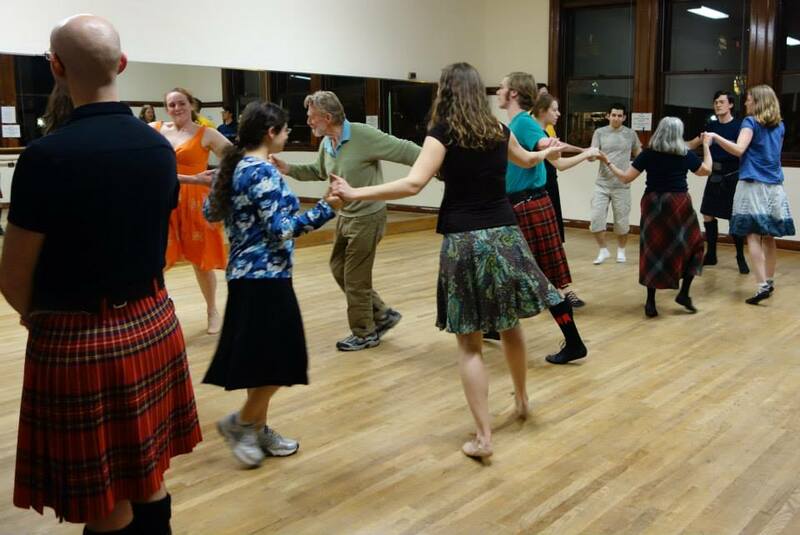 Discounts at Branch functions, such as workshops and monthly dances. 'The Puget Scot', the Seattle branch newsletter by email. The membership list, with the names and addresses of those in your branch. (Having your address in the list is optional.) Published in the autumn. Being part of a worldwide cultural society with a long history of preserving the camaraderie and beauty of traditional Scottish dance. The right to vote in the election of Branch officers, and other business, at the Annual General Meeting and to hold office in the Seattle Branch. Access to the RSCDS Directory, which lists contact information for RSCDS branches all over the world, and the RSCDS Bulletin, containing news of the society, advertisements for dance workshops, dance tours, and merchants selling ghillies, kilts, etc. The membership form is linked above. It is in Adobe Acrobat Format (pdf) format (You can download a free Acrobat Reader from Adobe). Print the forms, fill in and mail to the address shown on the form with your check. Are you looking for Scholarship help from the Branch? RSCDS-Seattle Branch is now offering a way to be considered for a partial or full scholarship for Branch events. Guidelines have been established for applying and an application is available to fill in, save and email off. 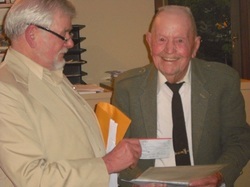 Our late Membership chair, Clark Cavin, presents Dub Fortenberry with his Life Membership at the 2011 Annual General Meeting. Dub passed away in 2013. Clark died in April 2012. They were among our longest members in the Branch.